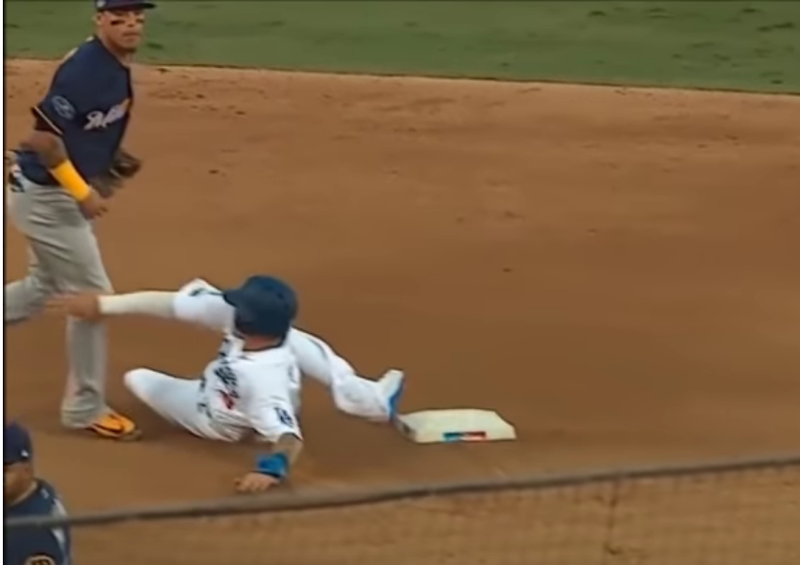 Manny Machado of the Dodgers has been noticed as making a number of dirty plays, stepping on infielders' feet or trying to kick them as he slides. For example, in the NLCS he was on first when the batter hit into a double play and he broke it up by deliberately sliding into the shortstop and even tried using his hand to grab the fielder's leg to take him down. Is there any kind of interference rule or unsportsmanlike conduct rule that can be used in cases like this? What is the penalty? Looks to me like he threw his arm but not really conclusive. There is also a rule on unsportsmanlike conduct. Are there any notable cricketing baseballers or baseball-playing cricketers?